This Wednes day, I’m going to share a piece of wisdom that just whacked me upside the head. It’s a small nugget of wise thought that has to do with how we view embroidery or sublimation or, really, any garment decoration work. 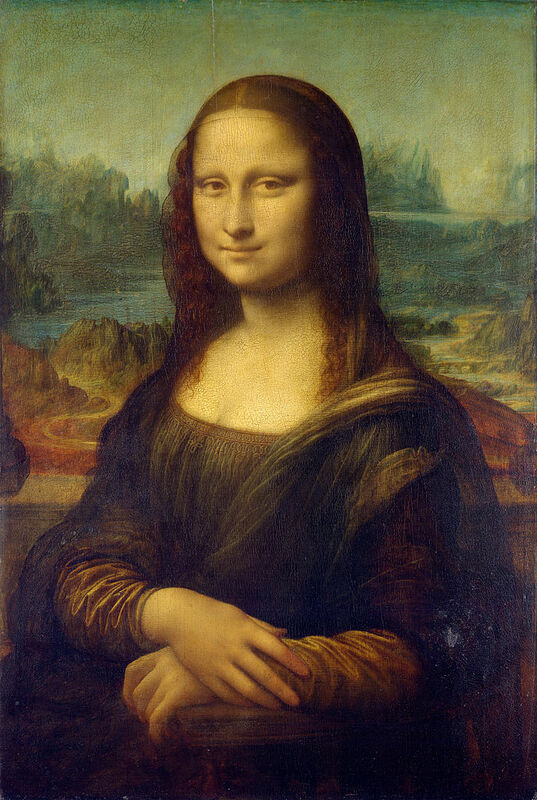 If you go to the Louvre and you view the Mona Lisa, you’re pretty confident you’re viewing a work of art. Maybe the art on view appeals to you or maybe it doesn’t but, regardless of individual taste, most people would agree that the Mona Lisa is a work of art and it is treated and valued (both monetarily and in the public’s esteem) as such. What we call art is a very subjective thing. Most decorators, if asked where their work stood on the spectrum between real art and not art, would probably veer toward the not art end of the scale. Every day, people who work with screen print ink or sublimation ink or thread or rhinestones or vinyl are told that their work is a commodity, not art. Most of them probably believe this is so. Every day I talk to decorators or read posts on social media from decorators who are working their hardest to create beautiful things for their customers. Maybe it’s finding the perfect color and style of garment to enhance the design. Perhaps it’s mixing five different shades of green ink to find the one that goes down best and is just the right color. It could be an hour spent on the phone looking for the exact shade of yellow thread to match a customers logo. Sometimes, it’s time spent doing research so that an animal head or a truck tire can be digitized as precisely as possible. It’s work, and it’s effort and, often, the only one that will notice is the person going the extra mile. So, why go the extra mile? Customer service is part of it, giving a customer the best product possible is just good business, but I think there’s more to it than that. It’s about pride in the work. It’s about knowing that the skills are there, and using them to create the best product possible. It’s the little nagging voice that says “I can do this better” and won’t shut up until better is achieved. It’s the artist, who is also a decorator, following a vision and creating something wonderful that didn’t exist before. And yes, for those who wonder, there can be beauty in a school spirit shirt or a cap for a ball team or a jacket with a corporate logo. The art isn’t necessarily in the design, although it certainly can be, it’s in the execution and the care that’s taken in creating the work. It’s in the skill that allows that work to be done. They say art, or what makes something art, is in the viewpoint of the beholder, but it’s also in the attitude with which the work is treated. The value of the work starts with those who set that value, so it’s up to decorators to recognize their work for the art it is and value it accordingly. It’s true that a sweatshirt created for the Jackson High Jackalopes will probably never hang in the Louvre, but that doesn’t make it any less of an artistic triumph. The art of your work matters. Make sure those who purchase it, and those who sell it, value it accordingly.